The last few years have been pretty good to Marcel Hirscher. The 2018/19 season saw him claiming two Olympic gold medals and three FIS World Cup titles, meaning that he now holds a record seven consecutive World Cup titles and is renowned by many as the best alpine skier in history. The only way is up, it would seem. However, this summer rumours have been running rife about what the future holds for Austria’s slalom star. A recent marriage and the birth of his baby son have convinced many that Hirscher would not be returning to the international racing circuit, instead focusing on his growing family. So is he retiring? Not quite. But he’s definitely rethinking his priorities. Hirscher’s decision to take a step back comes after one of his most successful seasons to date. After fracturing his ankle during pre-season training last summer, hopes for Hirscher’s 17/18 season were not high. However, the pressure that comes with being a top-performing athlete soon returned and for Hirscher, this pressure is particularly intense. As we talk, chants of “Marcel Hirscher, Marcel Hirscher” begin to filter through to our ears; a crowd of young skiing fans having gathered at the entrance to the restaurant where we are sat. Austrian fans are renowned for being some of the most passionate skiing fans in the world and Hirscher is understandably their hero. It’s an adulation that provides him moments of incredible elation but also brings immense pressure. A mark of Hirscher’s own success, the expectations to perform are as high as they can be – failure is not an option. 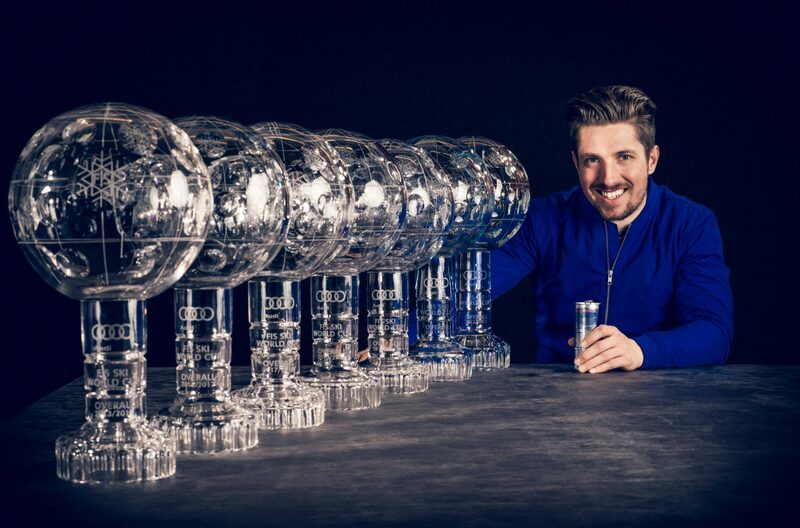 Despite this though, Hirscher is steadfast in his belief that he is not naturally the best slalom skier in the world. “I’m not the better skier, no no” he shakes his head. 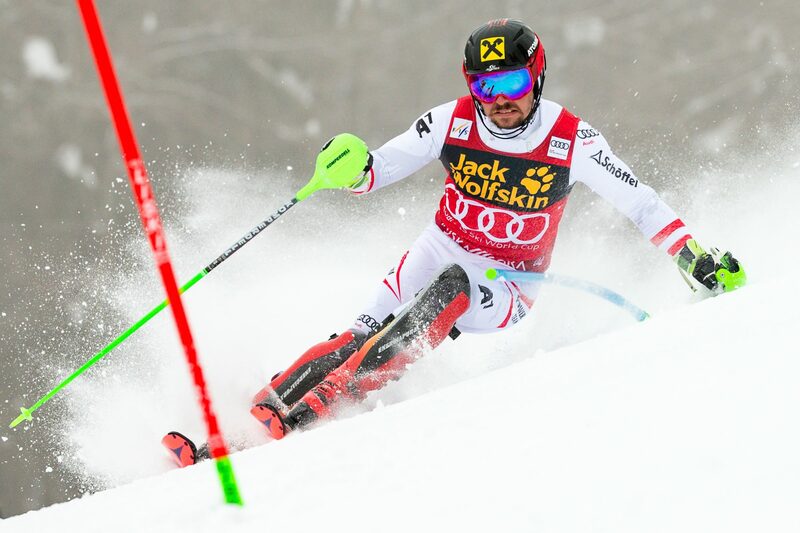 “But 95% of the races we are really on board with the equipment.” Indeed, Hirscher is a self-confessed ‘gear geek’ and wholly believes an athlete’s gear is the thing that can make or break an athletes’ race. “I will never win a race with a bad setup for the day” he admits happily. Hirscher is very aware of the advantages he has had as an Austrian, growing up surrounded by mountains. “Us athletes in Austria, we have everything – we have a team we have a federation, we have ski clubs, we have normal snow, we have perfect conditions, you can ski here everywhere” he acknowledges. 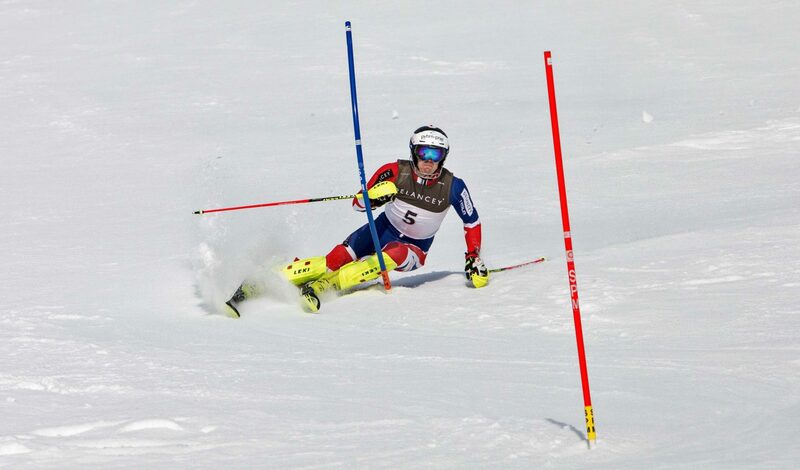 Indeed, in 2017, Dave achieved the best ever finish for a British skier in a slalom race, finishing in second place at Kitzbühel, behind none other than Hirscher himself. Was Hirscher surprised to see this level of success from Ryding? He shakes his head. “Not really. I saw Dave already so many years before training next to my course, his technique is one of the smartest we have on the world cup tour”. Then, the words us Brits long to hear, “I’m sure he will take his chance to win a world cup race”.